Despod's photo and comment blog. 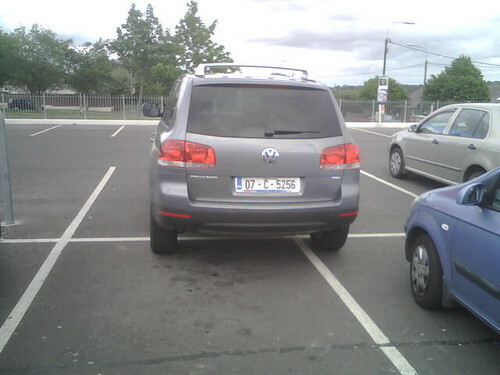 : A VW Toerag needs 4 spaces - not what you'd expect in Aldi ! Posted by Des at 5/22/2007 07:23:00 p.m.
What do you mean "Not what youd expect in Aldi?" I cant say I share your feeling of inferiority whenever I visit Aldi. To me, its just a store that sells funky food and random electrical goods. Maybe the Touborg driver just likes nachos too! I went to the effort of finding the correct spelling of Tuborg and I still messed it up. The joke was lost forever, all for the want of a correct spelling of Tuborg. Sagor Nath 1/23/2017 05:16:00 p.m.
minded people or people they can have great debates with.